There's great cars, the ones remembered long after their time. And then there are momentous cars. Cars that defined a brand and rewrote the history of the automobile. The Porsche 917 is one such car. And the fact that it was a purpose-built race car makes it even more special. It can be argued that while the 911 defined what Porsche stands for, the 917 brought it credibility. Regularly called one of the greatest race cars ever made, the first Porsche 917 was shown today, March 12, at the 1969 Geneva Motor Show. 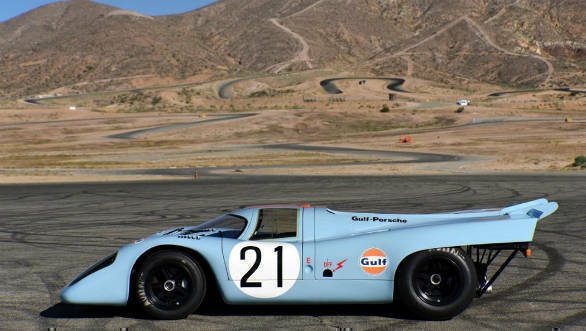 Developed by Ferdinand Piech, the 917 came about after the Commission Sportive Initiative (CSI) allowed for a class of smaller capacity, lighter cars in the International Championship of Makes (which later became the World Sportscar Championship) that needed only 25 units for homologation. Development was not all smooth sailing with tight timelines and technological challenges. The 917's iconic shape factored in aerodynamics, at a time when the science was still nascent. There were teething issues throughout testing and even when the car started competing that year. Most memorable was the car's tendency to induce wheelspin at speeds well over 300 kmph. This, combined with edgy handling, made the 917 a very difficult car to drive. A privateer even lost his life behind the wheel. But the team worked through this and by 1970 the 917 had started showing the first signs of its future legendary stature. 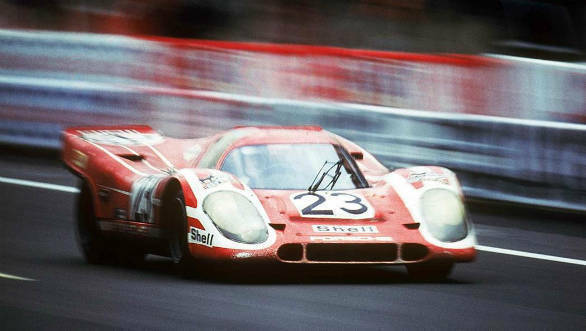 Bringing in two Porsche 917Ks in a 1-2 finish at the 1970 24 Hours of Le Man's, Hans Herrmann and Richard Attwood, with second-placed Gerard Larousse and Willi Kauhsen, set the ball rolling on one of motorsport's greatest records. The feat was repeated in 1971, when Dr. Helmut Marko and Gijs van Lennep took victory, while Richard Attwood and Herbert Müller finished second. Porsche would then go on to win Le Mans 17 more times, with their most recent victory coming in 2017 with the trio of Timo Bernhard, Brendon Hartley and Earl Bamber sharing driving duty in the Porsche 919 Hybrid. The 917's development never really stopped throughout its life. The car continued to be raced up to the early 1980s with the 917/10 and 917/30 turbo versions producing well over a 1000PS. Other notable wins came in the North American CanAm Series and the European Interserie. The car is now instantly recognised thanks to that iconic blue and orange Gulf livery. Its appearance in Steve McQueen's 'Le Mans' has strengthened its almost mythical status further. The constant development meant that the 917 had numerous changes made to its bodywork over the course of its life. The most notable of these was the switch to a shorter tail section for the 1970 season, resulting in the 917K. Drivers had described the 1969 long tail, low-drag car 'undriveable' at high speed. Another major change was the introduction of a magnesium chassis. 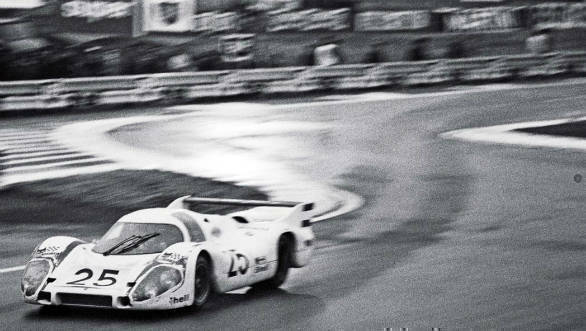 The long tail car, the 917L was also worked on was a regular feature at Le Man's through the early 1970s. There were several aero upgrades that were also made concurrently. The earliest 917s were powered by a 4.5-litre flat-12 motor, which put out around 520PS in 1969. This engine was then enlarged to 4.9-litre, making 600PS, and then to a further to 5.0-litre engine that made 630PS. 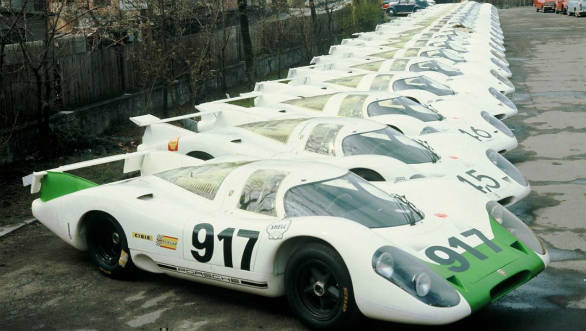 The most powerful versions of the 917 were the 917/10 and 917/30. 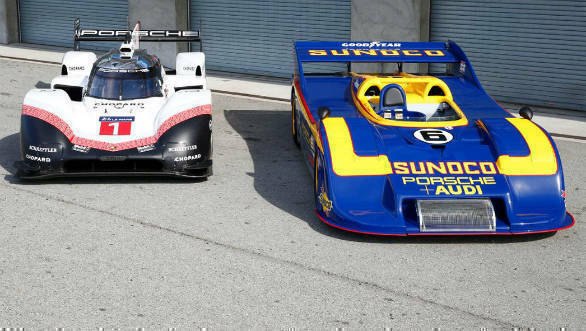 Both were the earliest examples of Porsche's turbo technology. The 917/30 was heavily reworked to compete in Can Am and with its larger 5.4 litre turbo-flat 12, produced up to 1580PS, making it one of the most powerful racing cars ever. The Porsche Museum will hold an extensive special exhibition titled "Colours of Speed  50 Years of the 917" to commemorate the 50th anniversary of the iconic car. The event will have ten 917 models and a 917 concept study. 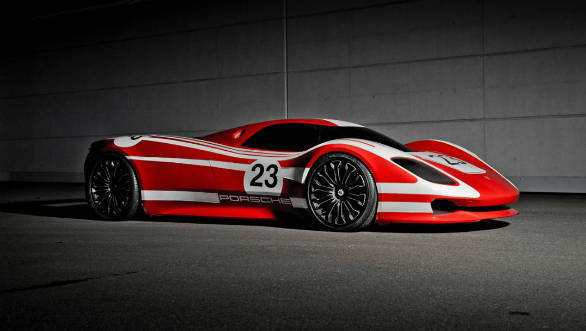 The stunning study re-imagines the 917 for the present generation. All the original's iconic design cues like the soft wedge shape, the low nose, bubble-shaped canopy and massive haunches are all present and accounted for. 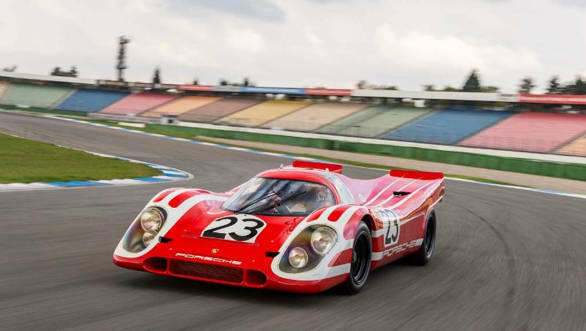 The "Colours of Speed  50 Years of the 917" is being held at the Porsche Museum in Stuttgart between May 14 to September 15, 2019.